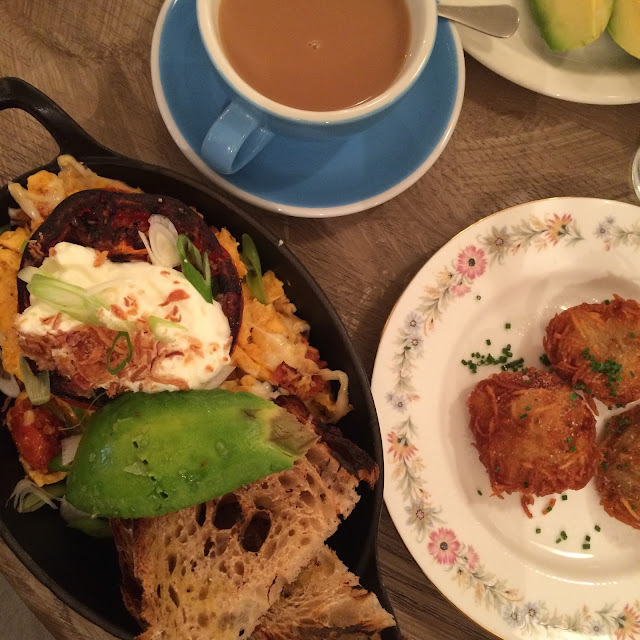 Carrying on my London series, with a place that is perfect for brunch in West London. 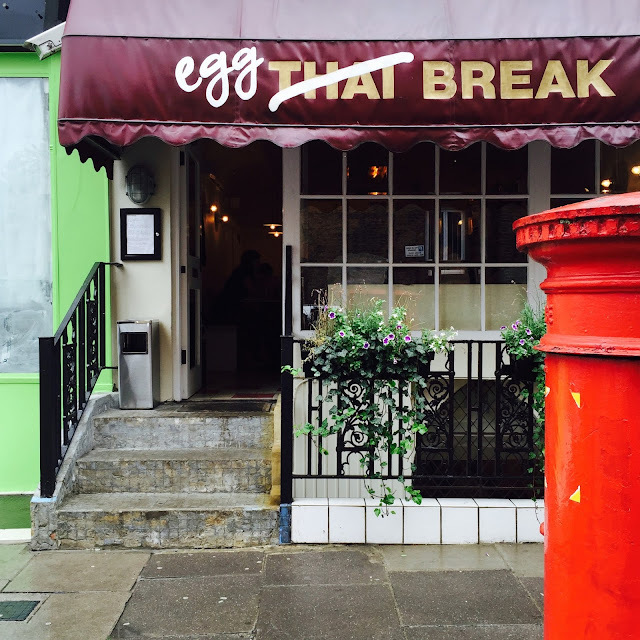 The people behind Soho House and The Hoxton Hotel Group have opened a cute egg-based café called Egg Break on a residential street in Notting Hill. One of my gorgeous friends, S lives close by so we decided it would be an eggcellent idea (couldn't resist) to try it out instead of our usual Granger & Co brunch visit. The menu at Egg Break is full of delicious egg-based dishes. Split into different catergories, the basics: eggs on toast, eggs benedict, etc are alongside a variety of other dishes, including buns and salads. I had the Broken eggs, chorizo, roast tomato, scamorza, and spring onion" (avocados on the side) and it was bloody delicious and, great value for money too. 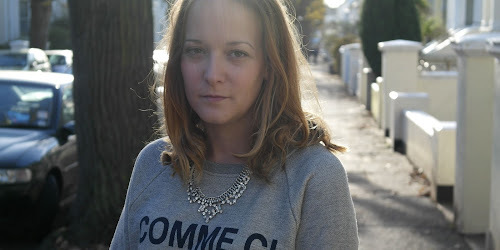 I'm heading back soon to try out a few other dishes and some of their desserts - the salted caramel custard has me almost dribbling on my keyboard as I type.